The Raila-led ODM party has made good on its threat to impeach Deputy President William Ruto. Led by Siaya Senator James Orengo, ODM legislators pledged to institute an impeachment motion to remove the DP from office. Speaking Sunday, Orengo said a Deputy President can be kicked out of office if it’s found that he or she has violated the Constitution or any other law. According to Orengo, Kenya cannot make progress with a Deputy President who is constantly at the center of every corruption case. Orengo, who was campaigning for Chris Karana in Ugenya, noted that it is easier for the removal of the Deputy President on constitutional grounds rather than through criminal prosecution. “I want to repeat here and now that the Senate together with the National Assembly, we want to bring a motion of impeachment to kick out DP Ruto from office,” Orengo stated. The Siaya Senator implored lawmakers to make maximum use of the Constitution to deal with those who think they are above the law. His sentiments were echoed by ODM party secretary-general Edwin Sifuna who said they already have DP Ruto’s file ready for the impeachment motion. Sifuna added that DP Ruto is a conman and that it has taken Jubilee seven years to figure it out. The lawyer claimed this is why President Uhuru Kenyatta sounded a warning days ago when he said no one — family friend or political ally — would be spared in the war on corruption. 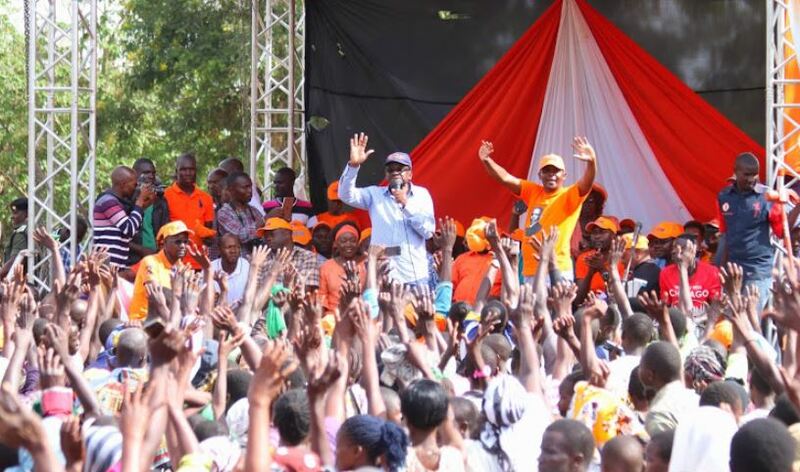 “The seven years Ruto was in ODM were enough to know the type of person he was and that is why we were telling Kenyans that he is a conman,” said Sifuna.